Devoid Of Culture And Indifferent To The Arts: Booze of the Week: Pucker up, it’s Lime Liqueur! This is an unusual little concoction. I say it’s unusual, because it’s neither sour, not green. This liqueur is a must for you to have for all those summer cocktails you’re dreaming of making this season. It adds an unusual note to a mixed drink and would be a great flavour base for a lime martini. Lime is a citrus, as we all know. But did you know that they can also be yellow and if left on the tree will actually turn orange? Limes are very acidic and a source of vitamin C.
They are most often used to accent foods, or to perk up drinks. 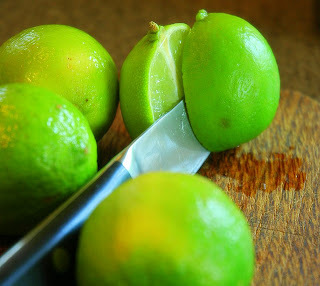 Though the juice is very sour, the lime zest is often referred to as “floral.” That’s the main flavour of this liqueur. 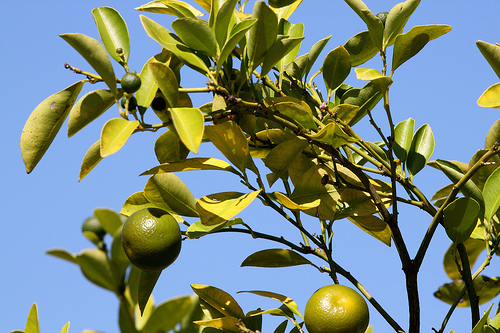 It is unknown when limes were first harvested as a crop, but there is mention in an Indian medical work from 100 AD of a word that describes both lemons and limes. Dried limes are prominent in Persian, Mexican and Asian cooking. The leaves from Kaffir lime are dried for use in cooking. Oil from the rind also has effective insecticidal properties. Because of their vitamin C level, British sailors were issued a daily ration of lime juice to ward off scurvy, earning them the nickname “limeys.” It was unknown that lemons, which they used initially but were harder to obtain, have 4 times the amount of vitamin C as limes. British sailors also had a ration of rum every day. I wonder if the two ever ended up in the same cup? Speaking of cups, on to the recipe. This liqueur is very light green colour and is quite floral in character. It is made from the rind of lime, but for whatever reason the sour doesn’t translate into the finished product. You can use the juice after grating off the rind in any number of other recipes you desire. Place the rinds and vodka in a sealable container. Set in the refrigerator for 2 weeks. After 2 weeks, strain the rinds from the vodka. Squeeze out any liquid remaining in the rinds. You will be left with a light yellow-green clear liquid. Quite un-lime looking actually. Heat the sugar and water in a saucepan. Once the sugar has dissolved add it to the infused vodka and chill. Combine all in a cocktail shaker with ice. Shake and strain into a cocktail glass. Serve with a wedge of lime. I had one of these this past weekend. Pretty nice.